How Do I Find People in the Prison System? For any number of personal reasons, you may want to find someone who is currently an inmate in the prison system. With upward of 2 million people in American jails and state and Federal correctional facilities scattered around the country, the task can be daunting. However, you can narrow down your search and use modern technology to locate an inmate. All but one of the 50 states have made or are making prison inmate lists available to the public, via the Internet. Go to the official state website of the state in which the inmate is incarcerated if the prisoner is in a state prison. Official state websites end in .gov rather than .com, .org, .net or some other domain designation. If the prisoner is in a Federal prison, go to the website of the Federal Bureau of Prisons (BOP), which is part of the United States Department of Justice. You can use the BOP link in the References section, which will take you directly to the inmate search page. See the Tips section for instructions on how to find prisoners in Maine and South Dakota. Use the internal search bar on the state website to look for the "Department of Corrections, inmate locator" in all but three of the 48 states that have online inmate locators. In Maryland look for the "Department of Public Safety and Correctional Services, inmate locator." In Ohio look for the "Department of Rehabilitation and Correction, inmate locator." In Texas look for the "Department of Criminal Justice, inmate locator." You may have to agree to their terms of service. Enter the appropriate information in the inmate locator or inmate search bar. You will probably have options. For example, you may be able to search by name, prison, or by an offender identification number. Reynolds, Cat. "How Do I Find People in the Prison System?" 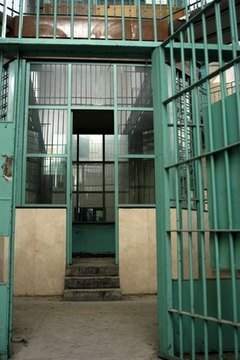 , https://legalbeagle.com/6068280-do-people-prison-system.html. Accessed 20 April 2019. How Can I Find Information on a Federal Inmate?